This class approaches watercolor from an experimental angle, using chance strategies to create new works. Working from traditional sources such as landscape, students will harness the unpredictable qualities of watercolor to create improvisational, process-based images. Students will have the opportunity to work in a range of styles and motifs, including both representational and abstract images. 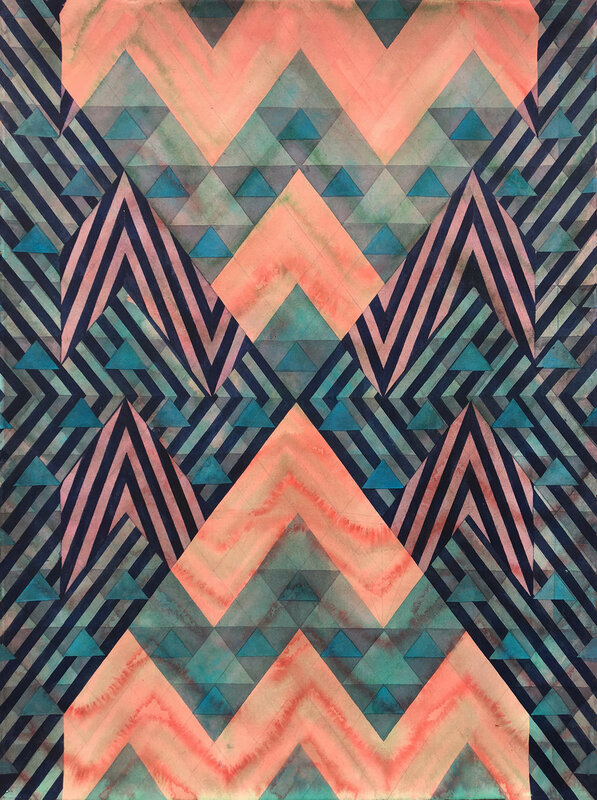 Located squarely between painting and drawing, watercolor possesses unique material characteristics that lend it to explorations of chance, accident, immediacy, and impermanence. As pigment suspended in a transparent, watery vehicle, watercolor engages the physical forces of gravity and fluidity like no other material. The class will create space for students to explore watercolor’s unique capacities for improvisation. A source of study will be John Cage’s chance based watercolors created at the Mountain Lake Workshop in Virginia between 1983 and 1990. We will also explore techniques developed by Dada, Surrealist, and Fluxus artists to generate unplanned imagery, music, and poetry, and consider how they can be applied to the painting process. A series of daily exercises will introduce students to tools, methods, and strategies. Additionally, students will select a theme to explore independently throughout the class. Hannah Barnes creates work in painting, drawing, and installation that engages structure, impermanence, and the indeterminacy of images through the lens of abstraction. Her projects have been exhibited in such places as the Dhoominal Gallery in New Delhi, the Institute of Contemporary Art in Portland, Maine, and Trestle Gallery in Brooklyn. She recently completed a Fulbright-Nehru Senior Fellowship in India. She was also a recent resident at the Studio Program at MASS MoCA and a Hedda Sterne Fellow at the Vermont Studio Center. Ms. Barnes received an MFA from Rutgers University and a BFA in Painting from Maine College of Art. In 2008, she joined the School of Art at Ball State University, where she teaches painting and drawing. Born in 1980 and raised on the New England coast, Barnes currently resides and works in Indianapolis.